Out of stock since Thursday, 28 February 2019. Due back Friday, 10 May 2019. 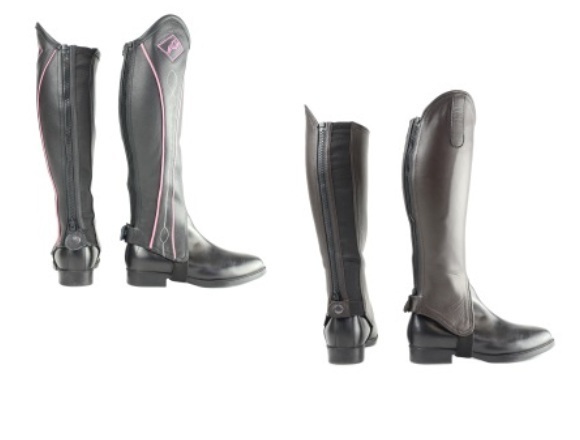 The Hy Leather Gaiters offer a highly durable solution with extreme comfort and an excellent shape and fit. Comes complete with YKK zips. Available in single colour or two tone black and pink. There are currently no questions for Hy Leather Gaiters - be the first to ask one!